If the state Senate race in Windsor County is an indication of things to come, gun rights and high taxes may be the pivot to get out the opposition vote for the Aug. 14 primary as well as the November election. This year, Windsor County’s Democrat incumbent senators stand unchallenged by other party candidates in the primary. However, those incumbents in the three-seat district can expect three Republicans and one independent to challenge them in November. As a Democratic stronghold district, two out of three incumbents voted for S.55, the controversial gun control measure that Gov. Phil Scott signed into law in April. The development is galvanizing the pro-gun GOP base to turn out at local polling places this year. Yet, unlike the Republicans, Windsor County’s Democratic senators aren’t focused on Second Amendment issues now that S.55 is a settled matter. According to veteran Sen. Alice Nitka, a Democrat from Ludlow, the big issue in Windsor County isn’t gun rights or high property taxes, but the shortage of local workers and education. Windsor County’s three GOP challengers — Randy Gray, Wayne Townsend and Jack Williams — say guns, taxes and jobs are the big concerns in the district. The Republicans also have been criticizing the “liberal” biases of McCormack, Nitka, and the other Democrat incumbent, Sen. Alison Clarkson, of Woodstock. The Republicans claim that Windsor County’s current senatorial trio of liberal Democrats illustrate what’s wrong with Montpelier’s one-party rule. They cite well-known examples from the past: Clarkson sponsored S.6, an act relating to requiring background checks for the transfer of firearms; McCormack supported assisted suicide legislation and sponsored a 2015 bill proposing a statewide $2 per night fee on lodging; and Nitka sponsored a bill to officially recognized the left-leaning, anti-police Black Lives Matter Movement in Vermont. Given that voting record, Gray, a resident of Springfield, believes he has a chance of getting a bigger vote margin this year than he did when he was on the GOP ticket in 2016. At the top of Gray’s list of concerns is the drift away from a strict compliance to both federal and state constitutions. When it comes to school issues, Gray wants to see Act 46 repealed, and he has extended an olive branch to unionized teachers in the state to help control spiraling education costs. Townsend, of Bethel, owns and operates a sustainable timber and firewood logging business. He, too, believes Republicans stand to benefit by getting pro-gun, pro-tax-cut voters to the polls. McCormack, however, says the state’s new gun control law was necessary, responsible legislation. In fact, he sees his votes for gun control as praiseworthy as he seeks to fend off GOP challengers. Townsend said McCormack’s actions are why he thinks more Windsor County residents will vote for him and the entire GOP Senate ticket in November. 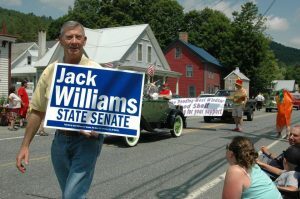 Jack Williams, of Perkinsville, is one of three Windsor County Repubicans who will be on the ballot in November. Williams, of Perkinsville, rounds out the GOP’s trifecta of 2018 Senate candidates in the district. 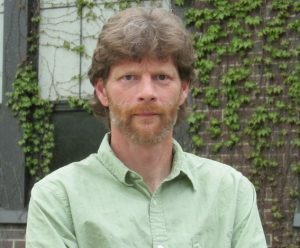 He describes himself as a true Vermont conservative and Christian who is pro-Second Amendment, pro-family and pro-constitutionalist. According to Williams, those positions are going to come back to haunt all elected officials who voted in favor of these issues. Williams said that his recent campaign tour of the Windsor District revealed several things which seem to go far beyond county lines. He also said unnecessary regulations, drugs, immigration and homelessness will likely play a role in how voters choose candidates in November. Correction: Two out of three Democratic incumbent senators voted for S.55. 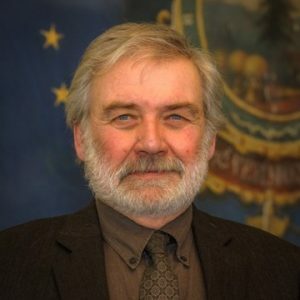 Sen. Nitka voted against S.55. The original story erroneously stated all three approved the bill. Got to love the ‘safe injection site’. Now we can all get high. No problemo! AND….the government will pay for it and make sure we are taken care of. Then we can go to COTS for a good night’s sleep, get free meals along the way, and come back to our little Utopia and shoot up, again. Life in a dazed bubble will be good. We’re protected. We’re high. Life’s little problems will not affect us. We won’t have to think. The State will think for us (for Democrats, they already do). And then let’s extend this drugged Utopia to the rest of the country. There will be no concern over a war; no bombs; no missiles. Whoever wants us can walk right in. These Burlington idiots are creating a proposal for the destruction of the United States. Contacted McCormick a couple of years ago about his position on a hot topic at the time. When it became apparent that I didn’t buy his reasoning he became quie upaet an ended the conversion. Do we needed these kinds of “open mnded” folks in Montpelier??? Time for big changes!!!! What’s an old-fashioned Jeffersonian to do? Our politicians – both Republican and Democratic – have boxed and pigeonholed us into two camps: you either have to be a pro-gun, anti-immigrant, drug-warrior social conservative who dog-whistles to religious fundamentalists – or you have to be an anti-gun, high-tax, high-regulation progressive on every issue. Whatever happened to the common-sense, live-and-live approach? I’m a pro-2nd Amendment fiscal conservative, but also believe that government needs to leave people alone, end the failed drug war (prohibition is NEVER an effective policy), and stay out of my bedroom and my doctor’s office. The Vermont way should be fiscal responsibility, low tax, low-regulation – AND socially tolerant. And no one seems to have the guts to put “one foot in each camp.” If there was ever a need for Independents to run – and win – this article proves it. Live-and-let-live died in Vermont when Vermont was taken over by big money seeking to push their ideas through a small cheap state as a means of moving national policy. Live-and-let-live only works when everyone plays by that rule. If you want live-and-let-live, the first thing that needs to happen is stopping the extremely long legislative sessions and simply focus on the budget. It should not take 4-6 months to create a budget in Vermont. Two months, the first year of every biennium, then two weeks the second year for a simple budget adjustment if predictions do not fit reality, is more than enough time for a small state like Vermont. Some large states almost do that … see Virginia for example. The reason this is key, is it is the only way to allow local working people that are not simply the hands and feet of outside groups to be able to serve. Get it, get the work done and get out. Until then, live-and-let-live are hollow words. Your comment ought to be read by every legislator and elected official and written into law. Hmmm. I-91, Connecticut River, Taxachusetts influence; easy route northward for the druggies from Springfield MA. Vacancies in rentals since VY closing leaving property owners more inclined toward being less picky when renting. Lax cannabis prohibitions that encourage growing for profit. Yup, sounds like a sure recipe for prosperity and safety. Williams says that “Vermont has one of the lowest crime rates in the United States …” That low crime rate is a manipulation in that drug dealers are getting a slap on the wrist (citation to appear in court) instead of being put in jail to await trial where I believe they belong. Gee, I wonder why there are so many drug addicts in Vermont. And now in their wisdom, decision makers are gung-ho on safe injection sites. Let’s create an addicted voter base? I think not.